Phil White and I started Cervélo in 1995 on a shoe string budget. Originally my graduation project for an engineering degree, we designed and built a time trial bike for Gianni Bugno, world champion in 1991 and 1992. He liked it, his bike sponsor hated it, so it never saw any action. However, people started to ask us if they could buy one, so we decided to build a few in order to recoup the money we spent on the prototype, and then we’d find a “real job”. Obviously the real job never came. Cervelo is now the world’s largest manufacturer of time trial/triathlon bikes and aero road bikes. Readers of VeloNews, CycleSport, Inside Triathlon and Slowtwitch all voted Cervélo as the #1 brand they intend to purchase. (Cervélo has also won cyclingnews.com’s Team bike of the Year award seven times in a row, prompting the organizer to consider not to include us anymore). 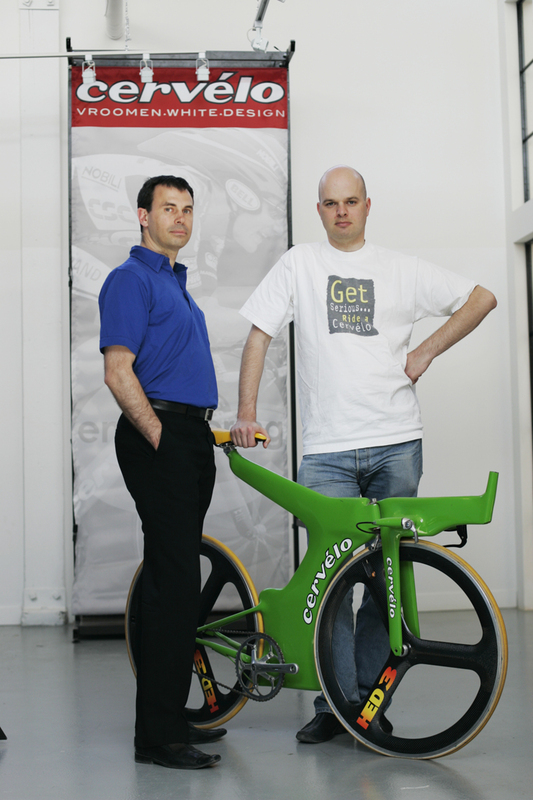 In February 2012, Phil and I sold Cervelo to the Pon Bicycle Group. Pon is a century-old family-owned conglomerate in the Netherlands that has entered the bike market with great ambition. For more information about Cervelo, visit the Cervelo website.